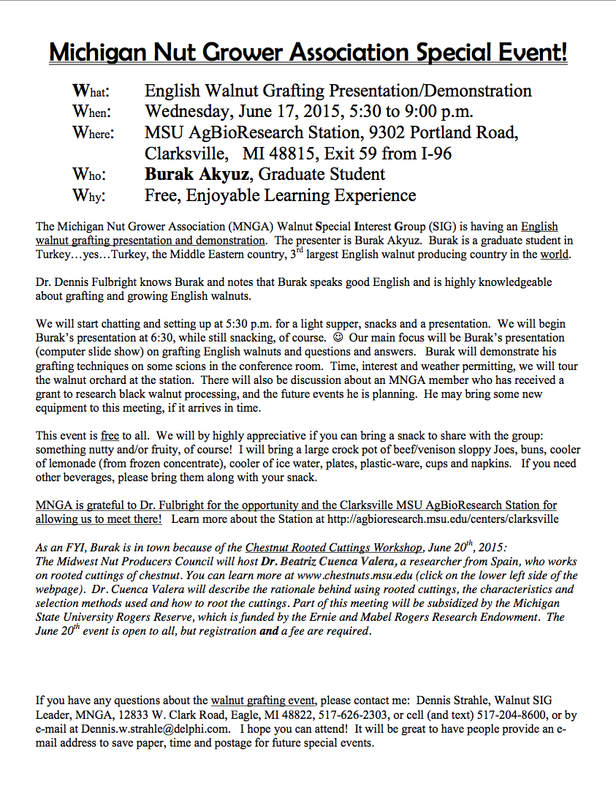 The MNGA is proud to host walnut researcher and Turkish grad student, Burak Akyuz, on June 17th in Clarksville, MI. He’ll be sharing his knowledge and expertise with anyone interested in learning about English walnut culture and particularly clonal propagation of walnuts through grafting. He’ll share a presentation along with a live grafting demo. View the event flyer to learn more.